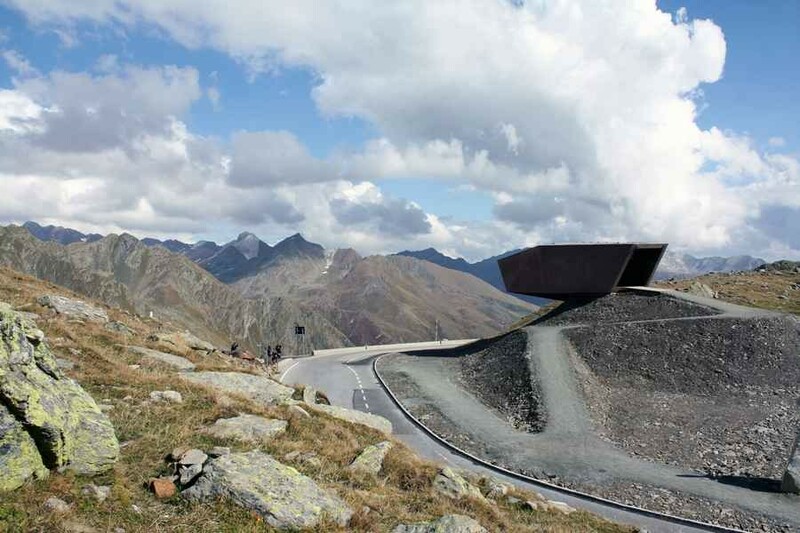 A road, once a mule track, links the Passeiertal valley and the Ötztal valley. 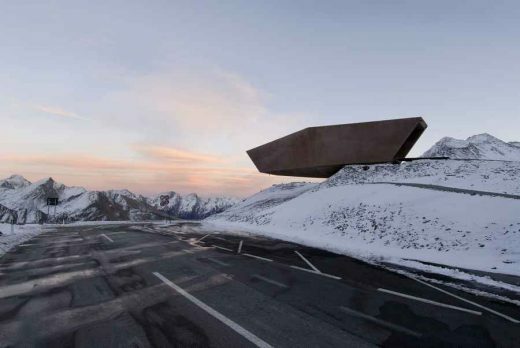 Over thousands of years, unique similarities between the two valleys evolved, triumphing over the natural boundary created by the mountains. Since 2010 architectural sculptures located at several stopping places along the road, enlighten travellers about the natural surroundings, the history, the culture, the communities and the economy of the region. 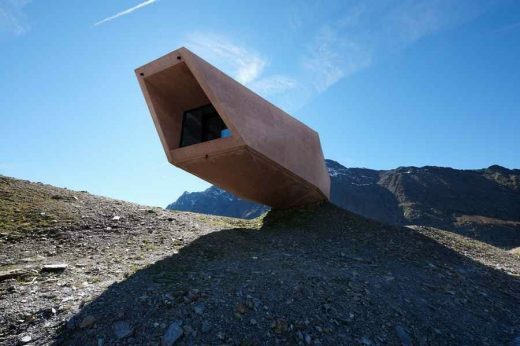 All together there are 5 sculptures to be explored, two on the Austrian side called walkway and smuggler and two on the Italian side of the road named telescope and garnets. On the highest point of the pass one can find the pass museum. 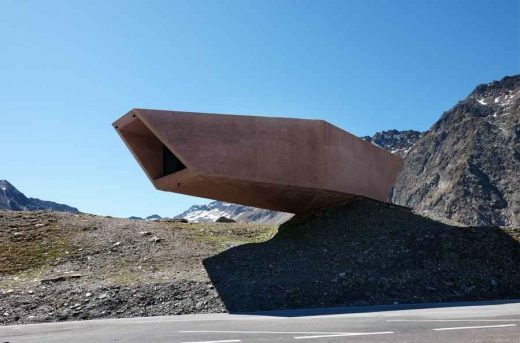 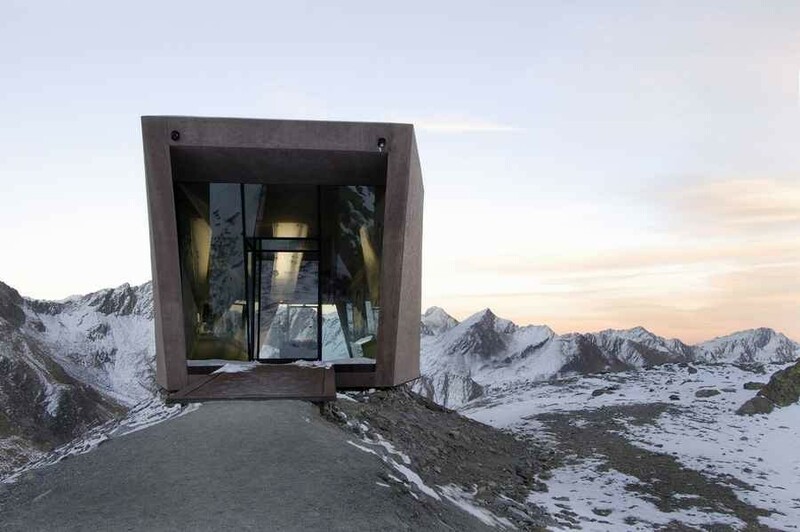 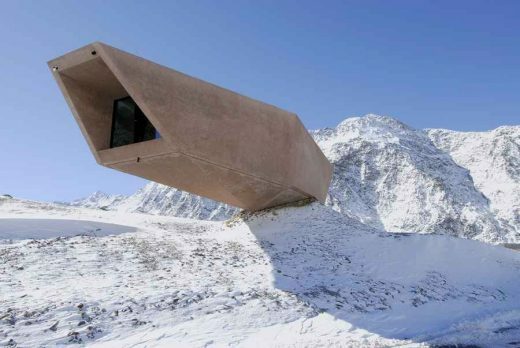 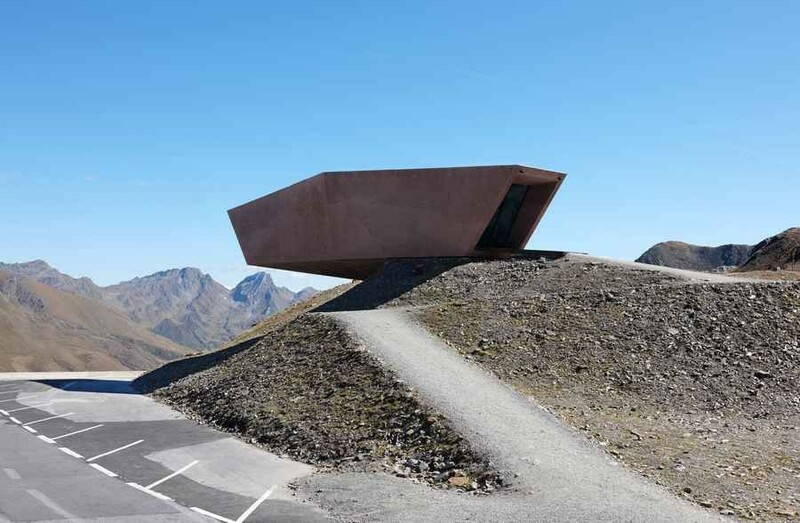 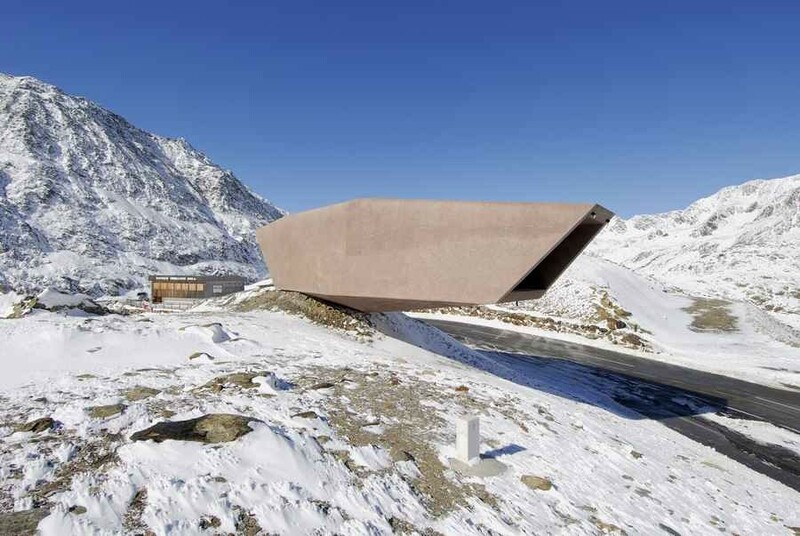 The concrete structure on the North Tyrolean side juts out like an erratic boulder into the South Tyrolean side, underlining the cross-border nature of the Timmelsjoch Experience. 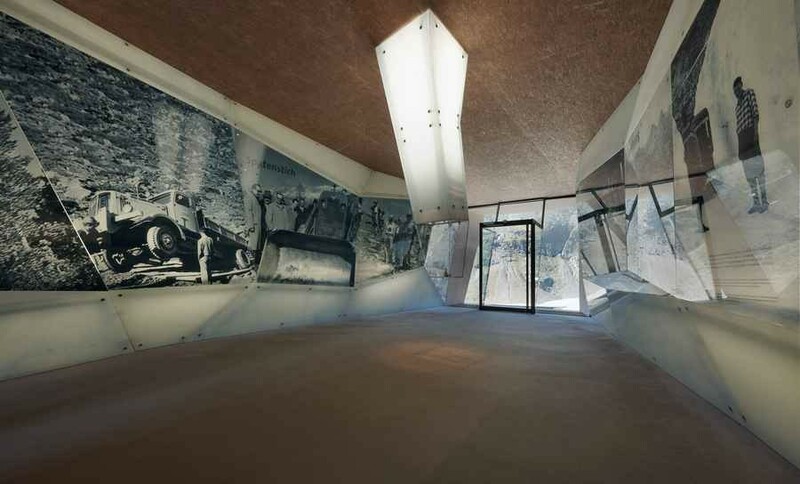 The “Ice Cave” inside the museum pays tribute to the pioneers of the High Alpine Road and their remarkable accomplishment. 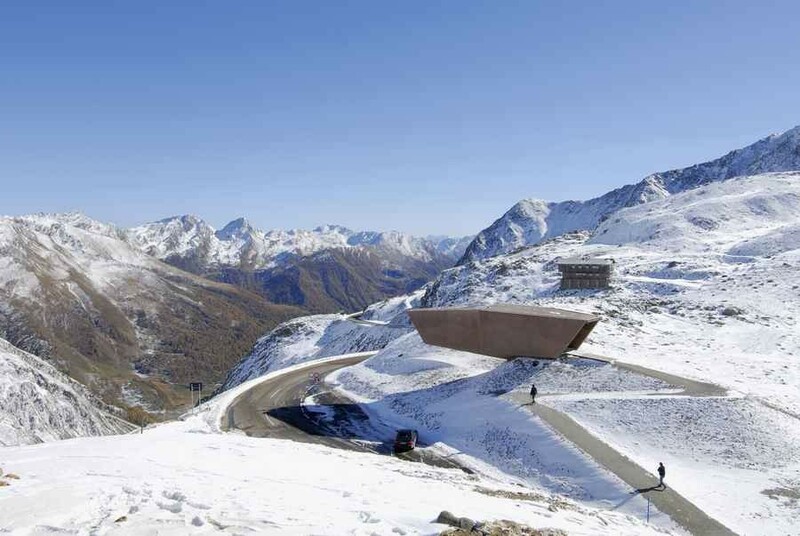 Timmelsjoch (Italian: Passo del Rombo; German: Timmelsjoch), is 2474 m above sea level.